Banding together to do this. Here we have the latest installment of my blog tour of the super cool clocks I’m seeing here in the watch epicenter of the world – Switzerland. Maybe there are a few other horology fans enjoying these off-the-typical-topic posts of mine. If you are just joining us, welcome and here are some of the earlier clocks that have impressed me enough to receive a mention here. 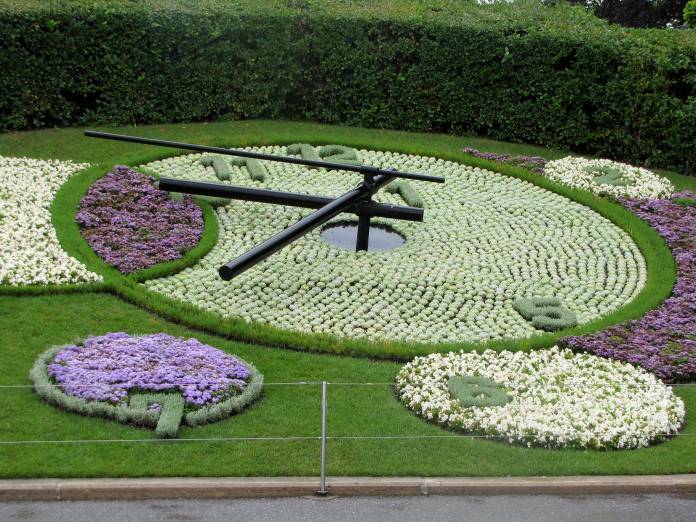 I’d guess this is the world’s most beautiful clock – sitting right along the lake in Geneva is the L’Horloge Fleurie, or Flower Clock. It’s been there since 1955 – there are approximately 6,500 plants/flowers that change seasonally (if you play around on the googles you can see it in a variety of seasons.) 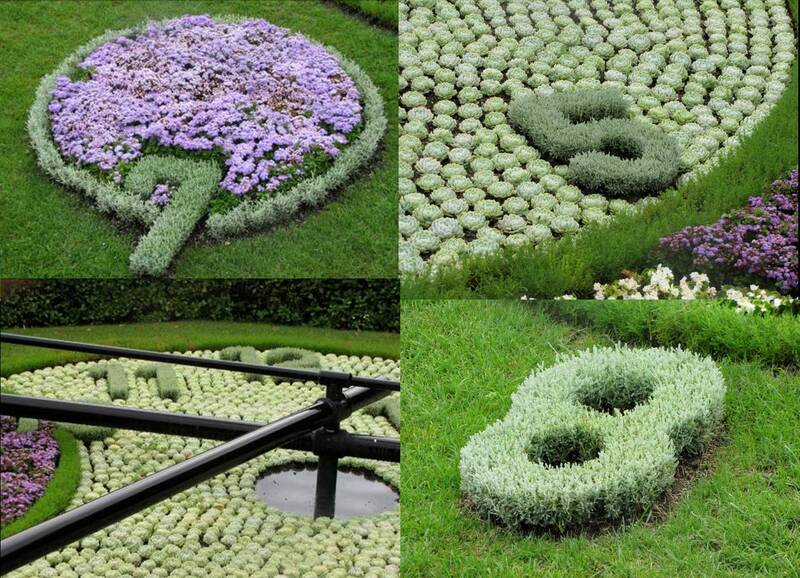 It measures 15.7 meters in circumference, the diameter of the clock is 5 meters. The clock features a second hand, which is 2.5 meters long. The second hand holds the reputation of the being the longest on this planet. I just about took a short video so you could see it spin but you’ll just have to imagine. This used to be the largest clock of it’s kind in the world until 2005 when it got beat by a clock in Tehran, Iran. You be the judge but I like this one far better than the one in Iran. I have been sermonizing along the way here – my thought on this clock is that time is an absolutely beautiful thing and it is a central part of God’s created order, really it’s a beautiful gift. Ecclesiastes 3:11 says “he has made everything beautiful in its time.” No time, no beauty. Kaitlyn has a few pics up on her blog from Geneva – check them out. Special thanks to my family for literally walking miles with me to locate these things. This morning we worked up a good lather, spent two hours and never found what I went looking for – Horloge Solaire Et Laser (Solar Laser Clock). We scoured this massive park (Parc Mon Repos) and never found it. I think someone stole it. Pardon me now as I philosophize for a moment… is time actually wasted if one spends two hours looking for a clock that doesn’t exist?